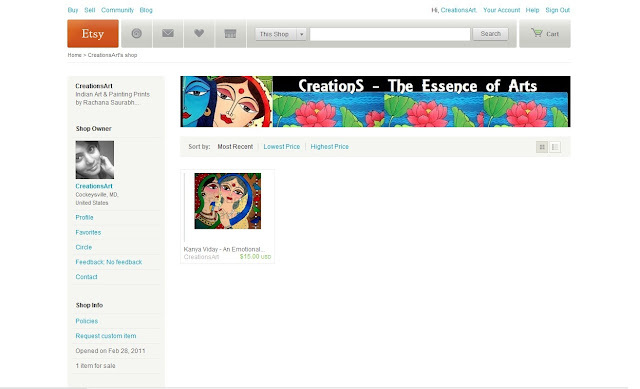 CreationS - The Essene of Arts: CreationS is now on ETSY..!! "CreationS" is now on Etsy..! And a new banner for ETSY shop..! Did you liked it..?? Congratulations! I love the banner! congrats rachana for ur new venture.